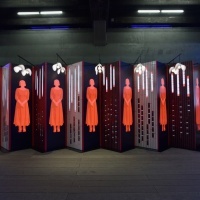 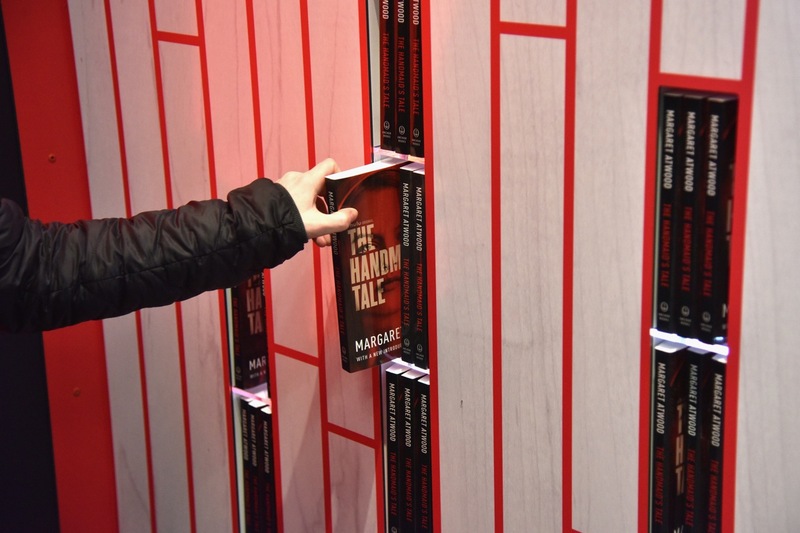 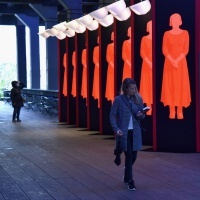 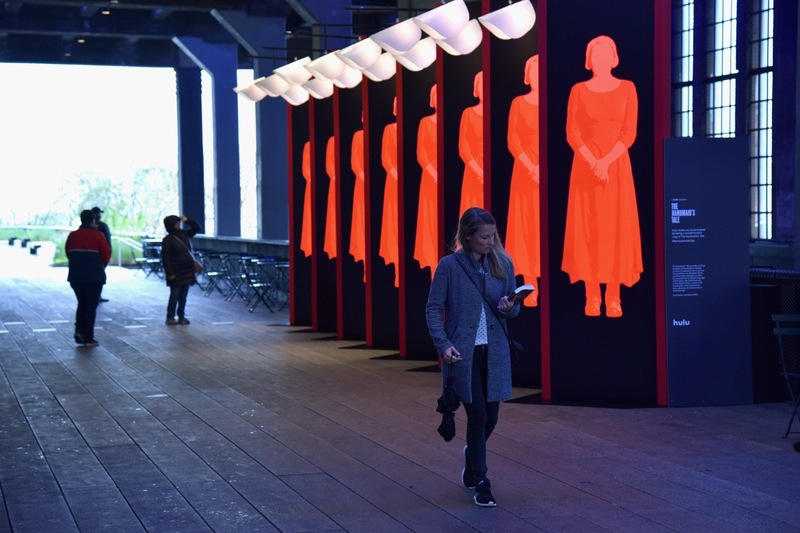 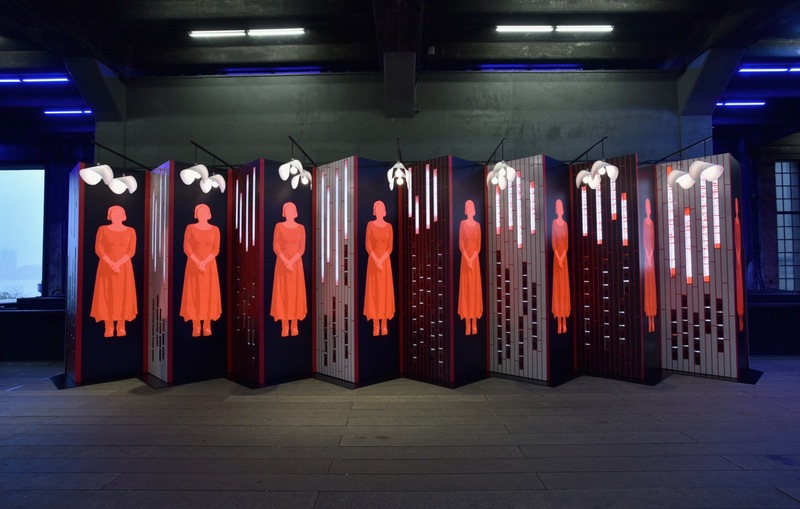 Pentagram has unveiled an installation in New York that distributes free copies of Margaret Atwood’s The Handmaid’s Tale in support of the novel’s TV serialisation that began on US channel Hulu this week. 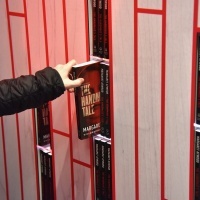 Some 4,000 editions of Atwood’s 1985 classic will be made available and housed in a unique accordion-fold display created by two Pentagram teams led by partners Paula Scher and Abbott Miller. 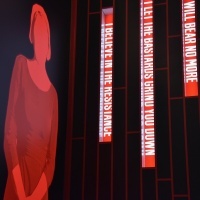 The 40ft-long series of panels feature a rendering of the novel’s protagonist, Offred, and contain the paperback editions. 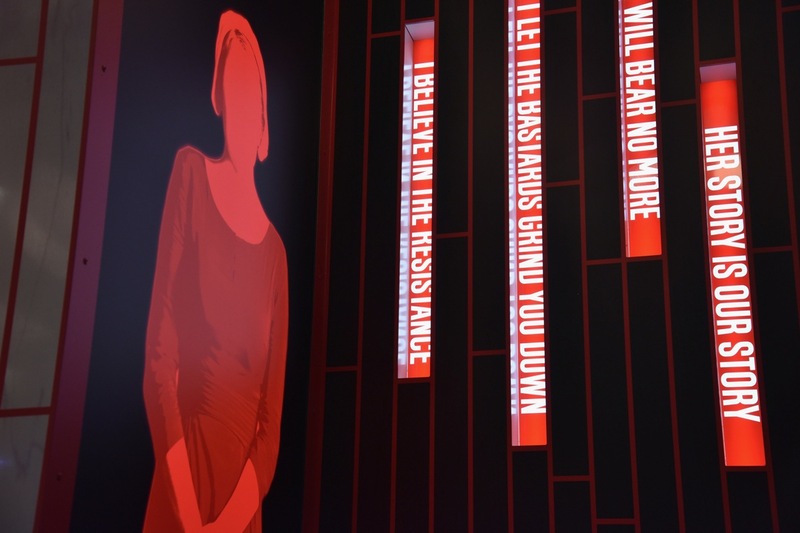 As books are removed they reveal a series of backlit “messages of resistance” from the story, say the studio. 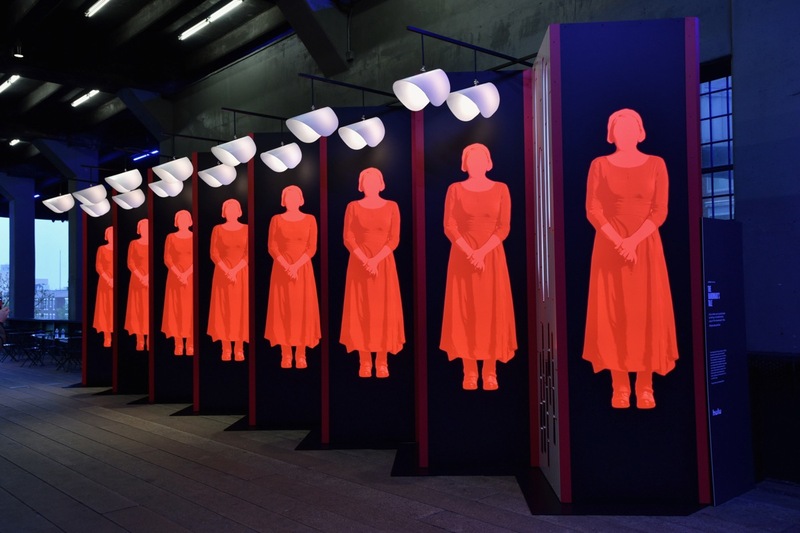 Lighting fixtures in the shape of the bonnets worn by the ‘handmaids’ are also hung above the site. 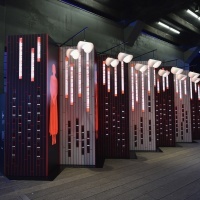 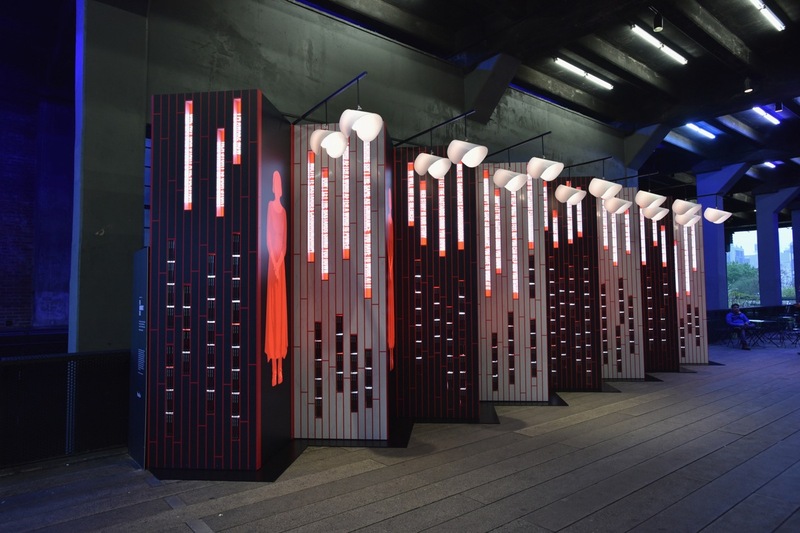 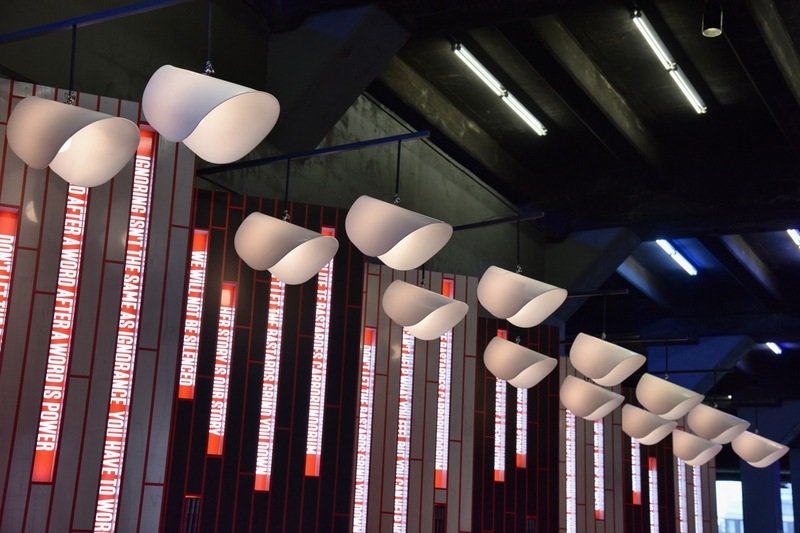 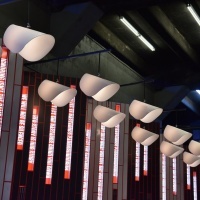 The project (a collaboration with Civic Entertainment Group) is installed in the Chelsea Market Passage of the High Line (near the West 16th Street entrance) and will be open to the public until April 30.